a woman's body is a direct line to the divine. we can't wait to hear what she has to say. women emboldened to blaze remarkable trails into their work, loving, living and leading. radical how-tos for dialing down stress and overwhelm while dialing up contribution and impact. DO less so you can BE more. 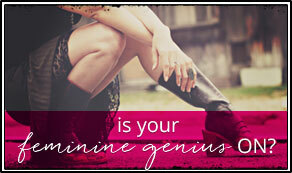 the optimal conditions that allow your feminine genius™ to flourish. make a living without killing yourself. the antidote, when having it all has taken too much. 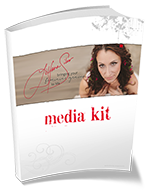 business leadership that nourishes the feminine – rather than eats you alive. sometimes you have to give up on following a blueprint in order to find your way into a brilliant life. the world needs you to walk your talk. the important differences between “masculine” and “feminine” strengths. 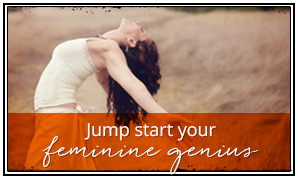 utilizing your feminine power (without kicking your masculine power – or anyone else’s – to the curb). simple practices to become your own Oracle, your own source of divine guidance. develop spot-on clarity and mojo for work, love and life. how to get connected to your life’s purpose – otherwise known as your Heroine’s Journey. coming home, as well as becoming home. the scientific connection between a woman’s pleasure and her confidence. why your desires are trustworthy; and how owning them is the quickest path to creating a life you love. how to never again “lose yourself” in a relationship. the non-negotiable ingredients for a woman’s happiness. will light and lead our world. lively panels and spicy Q+A sessions? yes, please. it is not enough to simply inspire. to bring that inspiration to life. "holding the torch for the fire of the feminine, LiYana spoke deeply and with humor on the magic of yin – and yoni! she embodies the powers of sensuality and authenticity in a way that invites emerging women everywhere to claim this secret sauce for their own. brava!" "LiYana’s keynote roused the room not just with inspiring words and new perspectives, but with real-time exercises that (over) delivered what she promised: a fresh look at how women can tap into the wisdom of our bodies so our businesses, loves and lives can be all that more empowered and embodied. LiYana is a teller of truth; and while hearing her speak, we grew intimately closer to our own." "my audience loved LiYana Silver’s compelling presentation! warm-hearted and clear, she created genuine connection with the audience and between audience members. her presentation was interactive and the energy in the room was rich and vibrant. we learned new insights from her and her expertise was wonderful. each person came away with new tools which can be applied immediately to their unique life circumstances. "LiYana doesn’t just speak about embodied feminine leadership, she embodies it herself. straight-talking. funny. provocative. lit up our stage like a sparkler. i’d have her again in a hot minute." "through LiYana's stories and exercises, i watched the audience fall more deeply in love with themselves. "my community – and how they are taught and spoken to – is precious to me. they keep asking when LiYana will be back! 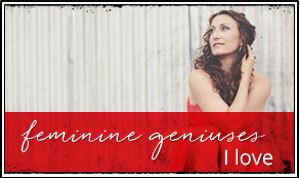 she creates a hallowed space, where each listener feels deeply seen – fertile ground for true transformation."